Item is a pastel and pencil sketch of a costume design for Dalhousie Theatre's 1991 production of The Tempest. 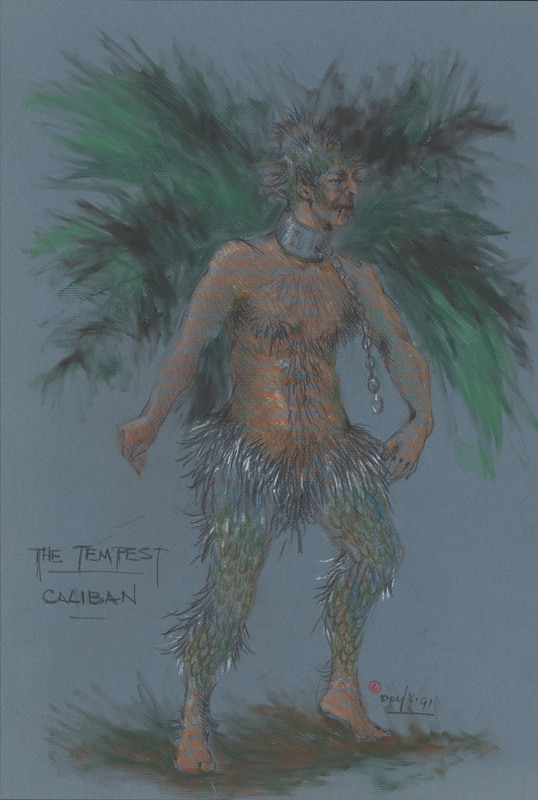 The costume is for Caliban and the sketch shows one male figure wearing the costume. The sketch is drawn on dark blue heavyweight paper.